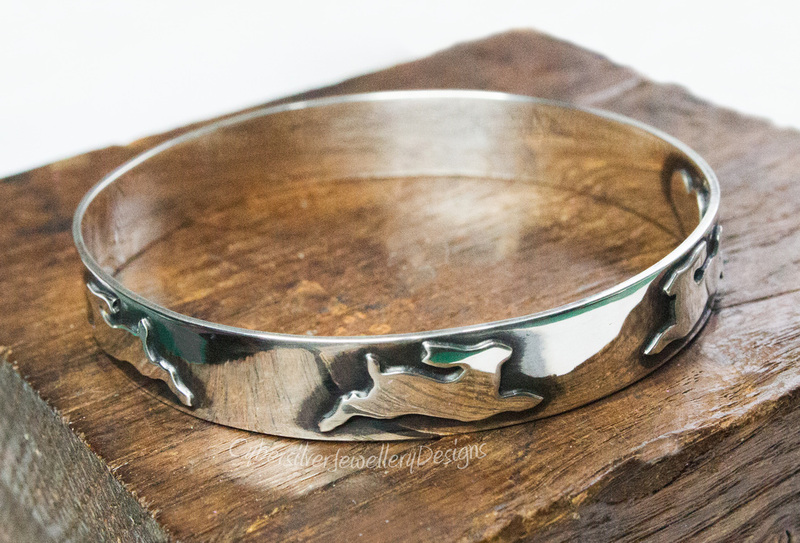 This beautiful leaping hare round bangle is entirely handmade to my own unique design. 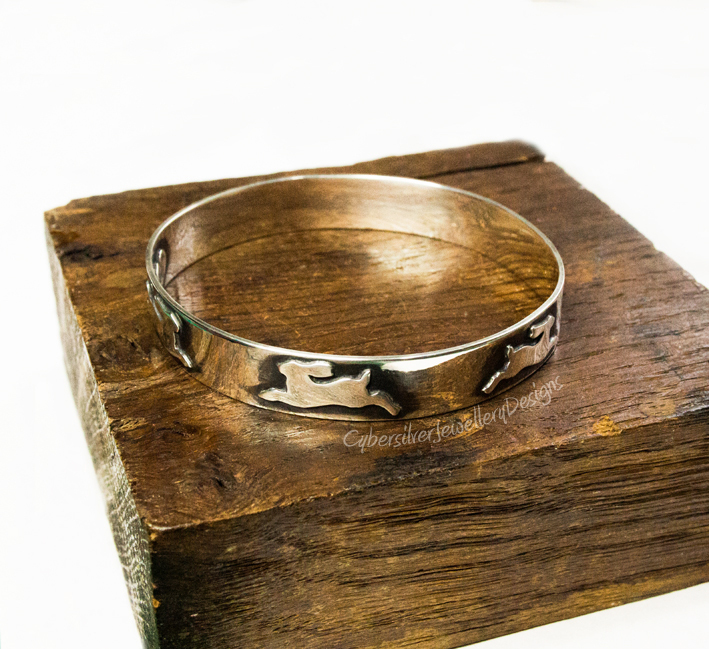 Each hare has been individually hand cut from sterling silver. The bangle is constructed from thick sterling silver which is oxidised and waxed with a special microcrystalline wax to help protect the oxidised surface. Oxidisation is a surface treatment that can continue to lighten with wear. ​Small - inner diameter 60 mm / 2.37" - inner circumference 18.95 cm / 7.45"